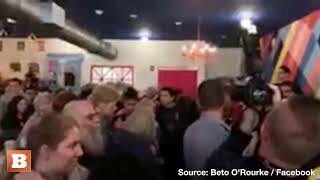 During a rally in Somersworth, New Hampshire, leftist activists questioned 2020 presidential candidate Beto O'Rourke about donations he received from Chevron and other fossil fuel companies. 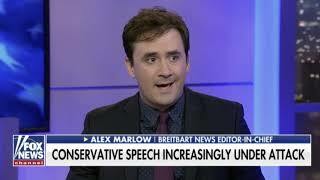 He admitted to have received a donation from one such lobbyist and said he's returning the check. 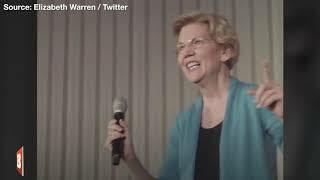 In a video released Friday on her Twitter account, 2020 presidential hopeful Elizabeth Warren told her audience that she would sign a moratorium on the first day in office to cease new drilling and mining on public lands. 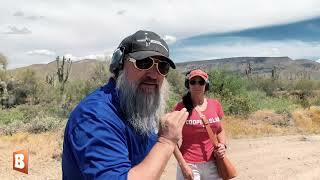 Breitbart News' AWR Hawkins and his wife show how a fanny pack or a handbag can help women quickly access their gun for self-defense. Breitbart News' Chris Burgard retold the story of the Battles of Lexington and Concord, the first military engagements between Americans and the British during the American Revolutionary War. 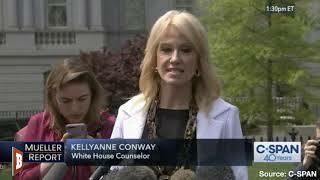 Counselor to the President, Kellyanne Conway, answered reporters' questions at the White House on Thursday after Attorney General William Barr made public a redacted version of the Mueller report. 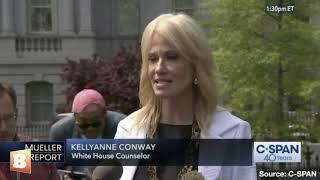 On Thursday following Attorney General William Barr's release of the redacted Mueller report, Counselor to the President, Kellyanne Conway, told reporters that members of Congress who want to continue scrutinizing the Mueller report would be wasting their time. 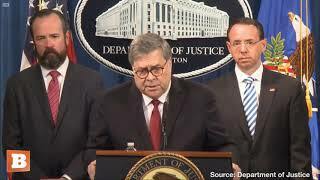 When asked by a reporter at a press conference on Thursday whether he would allow special counsel Robert Mueller to testify publicly in front of Congress, Attorney General William Barr said he had no objection. 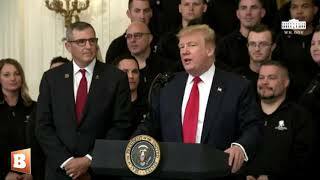 Trump delivered remarks at a Wounded Warrior Project event after a press conference was held by Attorney General William Barr to summerize the contents of the Mueller Report, released on Thursday. 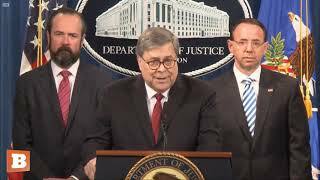 At a press conference on Thursday, Attorney General William Barr confirmed to reporters that the Russian government sought to interfere into the 2016 election, but Russian operatives did not have Trump's help. The redacted Trump-Russia special counsel report was released shortly thereafter. 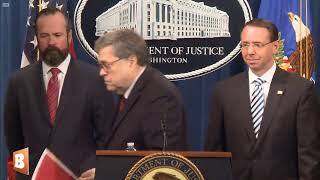 During a press conference before releasing the redacted Mueller report to Congress and the public on Thursday, Attorney General William Barr told reporters why his team came to the conclusion that there was no obstruction of justice to the Trump-Russia special counsel investigation from the Trump administration. 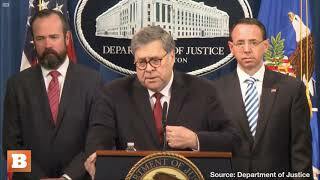 “The President’s personal lawyers were not permitted to make and did not request any redactions,” Attorney General William Barr said during his press conference before making the redacted Mueller report public on Thursday. 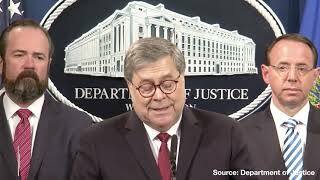 Attorney General William Barr responded to a reporter's question at a press conference held to summerize the contents of the Mueller Report, to be released Thursday. 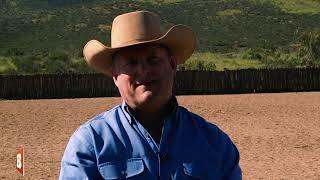 "This IS a national security threat. 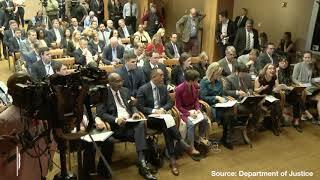 This IS a humanitarian crisis," Rep. Andy Biggs (R-AZ) wrote in a tweet along with the video on Wednesday. 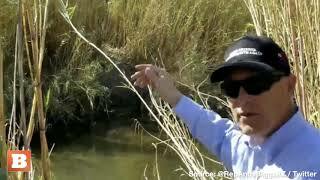 Biggs was at the U.S. southern border to show how migrants cross over every day. 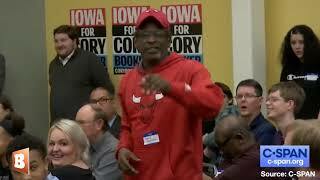 During Sen. Cory Booker's (D-NJ) town hall in Iowa Tuesday night, a member of the audience blasted CNN for its "all fake" town hall format. He also praised Booker's town hall, saying "This is a real town hall meeting." By NOLTE: Oscar-winning director Clint Eastwood is circling The Ballad of Richard Jewell as his next project, the tragic story about an early victim of our fake news media. Jewell was a 34-year-old security guard at the 1996 Summer Olympic Games in Atlanta, Georgia, and at first he was rightfully hailed as a hero after he discovered a backpack filled with explosives and risked his own life to evacuate the area. After the bomb went off, dozens were injured and one person was killed. There is no question, though, that many, many more would have died had Jewell not sounded the alarm. Unfortunately for Jewell, the acclaim didn’t last long. He was overweight, white, and a southerner — the perfect target for our left-wing media… And so, three days later the media reported the F.B.I. 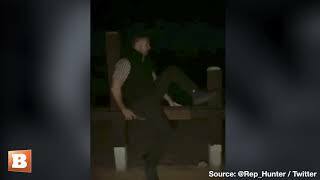 was looking at him as a possible suspect. There was zero evidence against Jewell. The entire story was based on a criminal profile of the bomber. The Atlanta Journal-Constitution launched the hate campaign by comparing Jewell to the serial killer behind a horrible series of child murders in Atlanta. Immediately, the rest of the unquestioning, totally irresponsible, and reckless media went to town on Jewell, portraying him as a pathetic mama’s boy, a fat guy who failed at law enforcement, a clown in a security guard uniform who planted the bomb to make himself a hero. While the F.B.I. tormented the poor man and the late-night comedians humiliated him, our godawful media refused to even question or express any skepticism when it came to playing stenographer for the Clinton administration by way of Attorney General Janet Reno’s F.B.I. After he was exonerated, Jewell successfully sued NBC News, the New York Post, and CNN. Only the suit against the Atlanta Journal-Constitution was thrown out. 🤦‍♀️🤦‍♂️🤦‍♀️🤦‍♂️ Former Vice President Joe Biden is reportedly expected to jump into the 2020 Democrat presidential primary next week ― but some in the Democrat elder’s orbit are worrying that his campaign-in-waiting is already in disarray. “I’ve never seen anything so half-assed,” one unnamed former Biden aide told TIME. “They’re improvising and doing last-minute planning. The guy has been running for President since 1987 and can’t figure the basics out, like where to stand on his first day? This should make everyone very nervous.” “The guy’s best day is the day he announces,” another source, described as a Biden “insider,” told the magazine. “Everything after that gets worse.” While the specific campaign launch date and location is unclear, Biden’s advisers are also said to be considering an early event in Charlottesville, Virginia. One of the most recognizable names in American politics, Biden served as Barack Obama’s two-term vice president after nearly four decades as a Delaware senator. With a record in elected office that stretches half a century, Biden faces multiple challenges. Last month he struggled to respond to claims he touched 2014 Nevada lieutenant governor nominee Lucy Flores’ shoulders and kissed the back of her head before a campaign event. A few other women have made similar claims, though none has alleged sexual misconduct. His first White House bid in 1988 ended after a plagiarism scandal. And in recent weeks, he was repeatedly forced to explain his 1991 decision, as Senate Judiciary Committee chairman, to allow Anita Hill to face questions about her allegations of sexual harassment against Clarence Thomas, then a nominee for the Supreme Court. Biden has since apologized for his role in the hearing. But in the #MeToo era, it’s another example of why critics believe he may struggle to catch on with the Democratic primary voters of 2020. President Donald Trump’s 2020 re-election campaign raised more than $1 million after the Mueller report was released on Thursday. “The release of the full Mueller report directly led to the campaign raising more than $1 million,” Trump campaign COO Michael Glassner told The New York Post on Friday, noting a 250 percent jump in online grassroots donations. The campaign urged supporters to “turn the tables” on the Democrats after pursuing the false narrative that the president had criminally colluded with Russia in the 2016 presidential election. 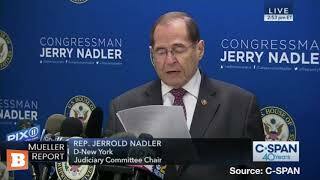 “It’s time to investigate the liars who instigated this sham investigation into President Trump, motivated by political retribution and based on no evidence whatsoever,” the campaign wrote in the video release statement. ❄️ ❄️ ❄️ Students at George Mason University say that Supreme Court Justice Brett Kavanaugh, who is a visiting professor this summer at George Mason’s law school, poses a threat to their “mental health.” According to a report from The College Fix, students at George Mason University are protesting Supreme Court Justice Brett Kavanaugh’s recent appointment to the law school’s faculty. Kavanaugh will co-teach one course this summer for George Mason University’s Antonin Scalia Law School on the Constitution in Runnymede, England. In a video obtained by The College Fix, students claim that Kavanaugh’s appointment to the faculty poses a threat to their “mental health.” “As a survivor of sexual assault this decision has really impacted me negatively,” one student said during a community gathering. “It is affecting my mental health knowing that an abuser will be part of our faculty.” “As someone who has survived sexual assault three times I do not feel comfortable with someone who has sexual assault allegations like walking on campus,” another woman said during the meeting. Students have circulated a petition calling on George Mason University terminate their contract with Brett Kavanaugh. The petition says that George Mason University has failed to protect women on numerous occasions, including when they hired Kavanaugh to teach the summer course in England. “I do not feel safe and supported at my school. GMU has lost touch of caring for its students and that needs to change,” one student who signed the petition wrote.